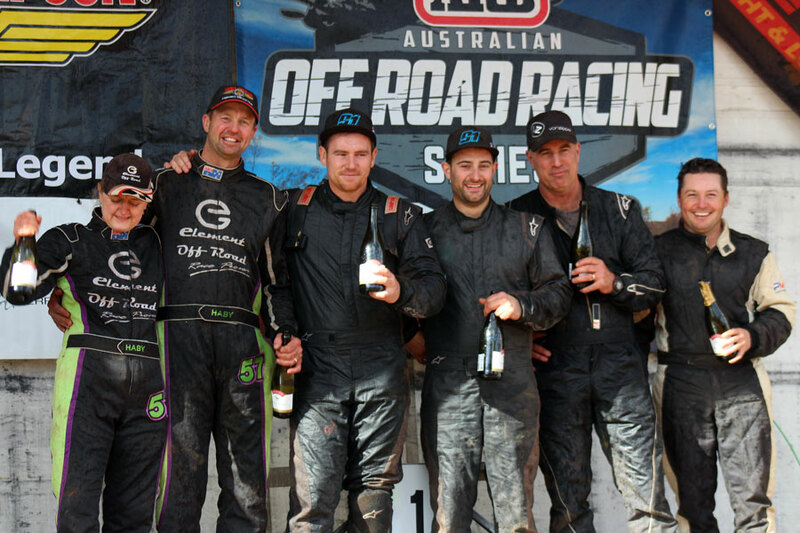 As the dust settles on the Waikerie Hotel ARB Riverland Enduro, we can reflect on the achievements of the weekend. Jack Rhodes and David Pullino added another Waikerie notch to their belts, writing their names in the record books today, securing their fourth in a row Waikerie victories. In a nail biter of a finish, Aaron and Liz Haby were the first to salute the checkered flag and it wasn’t until Rhodes crossed the line less than a minute later, that Rhodes could be declared the victor and Haby in second place, a mere 10.469seconds behind Rhodes. Aaron James and Peter Luckraft were only 1m38s off the pace of Haby to drive the #93 Alumi Craft into third place and finish off the Waikerie Hotel ARB Riverland Enduro podium. Fourth place went to Greg Gartner and Jamie Jennings; the #410 machine finishing just 11.578 seconds ahead of fifth place Raana Horan and Klem Christiansen #89. 30 of the 99 starters completed the full four lap race distance, and 14 of the nominated SAORRA three lap club entries also competing their three lap total race distance.